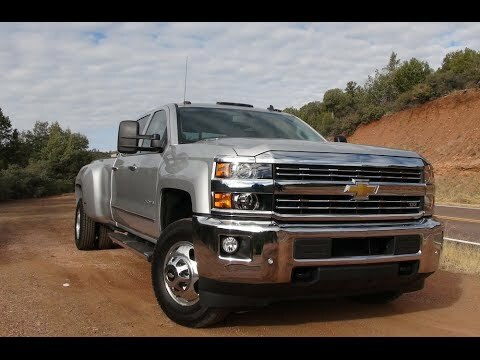 The 2500 HD and 3500 HD are the big guys in the Chevrolet Silverado line. If you carry big loads or pull big trailers, or both, a Chevy HD Silverado will get it done. There are a variety of sizes and cab configurations, a strong gasoline V8 and an even stronger turbodiesel V8, and options and trim levels to suit any purpose. Great work truck for casual or hard pulling. Performance is excellent, I can definitely rely on this truck for just about anything whether it is just going to the grocery store or to home depot to get lots of lumber and things for home-improvement. The truck also comes with four doors has a 454 engine and lots of room to do whatever you need to do. It also comes with a tow package that you can make adjustments to overall it is a great truck. Great teen review of the Silverado. This vehicle is great. This is the car I first started driving on at age 15. It is a bigger truck but the interior is amazing and it has a touch screen along with amazing speakers. The hill assist really helps me when I drive and when it starts to get cold the four wheel drive comes in handy.